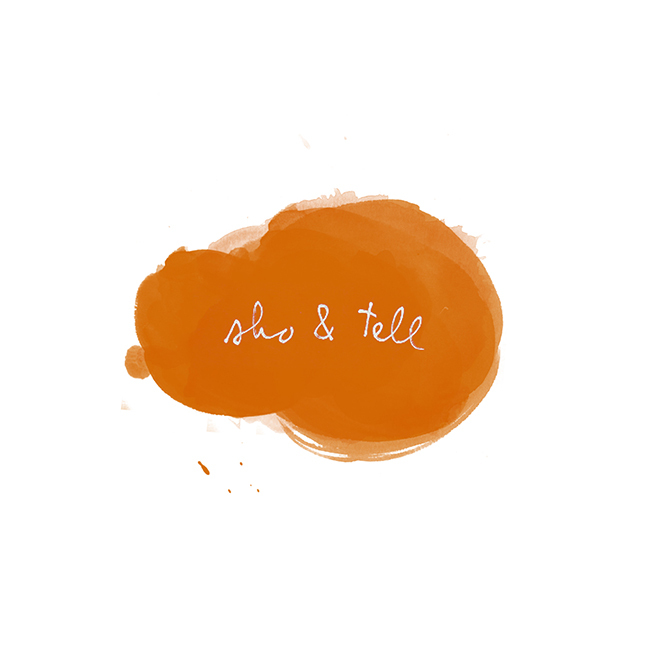 sho and tell: Recommended Reading / 16. This week, from Joan Didion's 1975 commencement speech at UC Riverside: "I'm not telling you to make the world better, because I don't think that progress is necessarily part of the package. I'm just telling you to live in it. Not just to endure it, not just to suffer it, not just to pass through it, but to live in it. To look at it. To try to get the picture. To live recklessly. To take chances. To make your own work and take pride in it. To seize the moment. And if you ask me why you should bother to do that, I could tell you that the grave's a fine and private place, but none I think do there embrace. Nor do they sing there, or write, or argue, or see the tidal bore on the Amazon, or touch their children. And that's what there is to do and get it while you can and good luck at it." -Wild deer and a Brazilian cockatiel named Jack. -Words from Pema Chödrön: "Nothing ever goes away until it teaches us what we need to know." -And lastly, here's an interview I did for a blog called Happy and Heartworking, which is about "finding out who we are and doing it on purpose." More recommended reading, here. Have a wonderful Monday! Photos by Max Wanger.